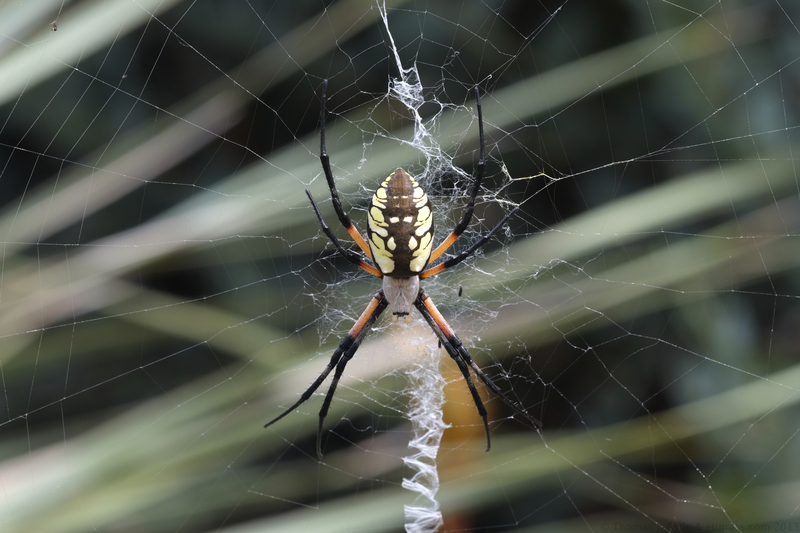 This black-and-yellow Argiope (Argiope aurantia, I think) spider had a web in our backyard for a few weeks… then one day the spider was gone and this marble-sized egg sac was in her place, suspended in mid-air by its many guy lines, like a tiny hot-air balloon still tethered to the ground. I love the engineering. Spider: Fuji X-Pro1, 60mm, 1/56th @ f8, ISO 400. 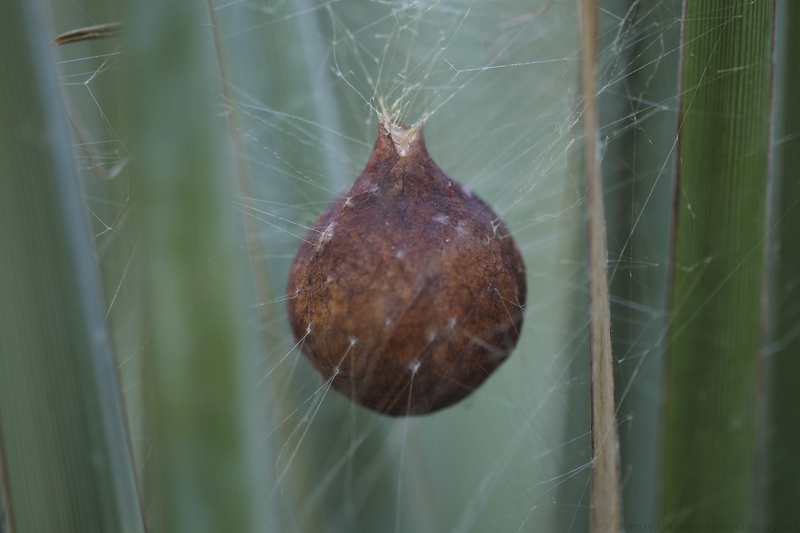 Egg Sac: Fuji X-Pro1, 60mm, 1/125th @ f2.4, ISO 400.